When it comes to asking prices, flats with a terrace command a premium of 36% on average, according to a study of asking prices in Spanish cities by the Spanish property portal Idealista.com. The study is based on asking prices in the Idealista database of listings, which is one of the biggest in Spain. There are big regional differences. The biggest premium is in the city of Santander, capital of the northern region of Cantabria, where flats with terraces have an asking price premium of 67%, followed by Canary Island cities of Las Palmas de Gran Canaria (64%), Santa Cruz de Tenerife (57%). There are also big premiums in the provincial capital of Lleida in Catalonia (53%). Valencia (50%), Alicante (45%), and Barcelona (43%). The smallest premiums are in the Basque city of Bilbao (11%), Granada (15%), and Toledo (16%). Terraces also command a premium in the rental market, though the difference is smaller. Landlords of flats with terraces ask an average 15% more rent than those without: 1,041 €/month compared to 900 €/month. The biggest premium is in Malaga (69%), though Barcelona also has an above average premium of 28%. 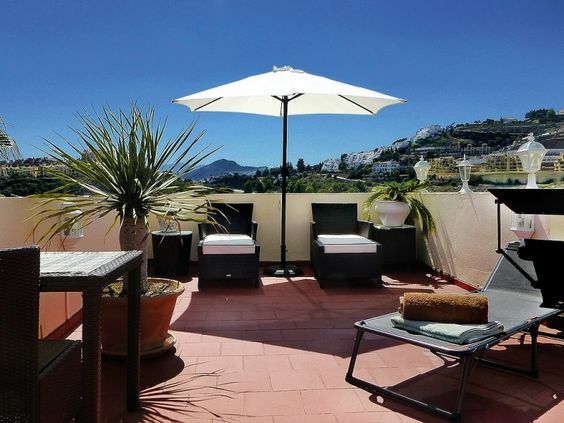 So you pay more to buy or rent a city flat in Spain with a terrace, and you can also ask more when you come to sell. The premium is driven by the utility value of exterior space in a country with a pleasant climate like Spain. Terraces have less utility value in countries with cold climates.